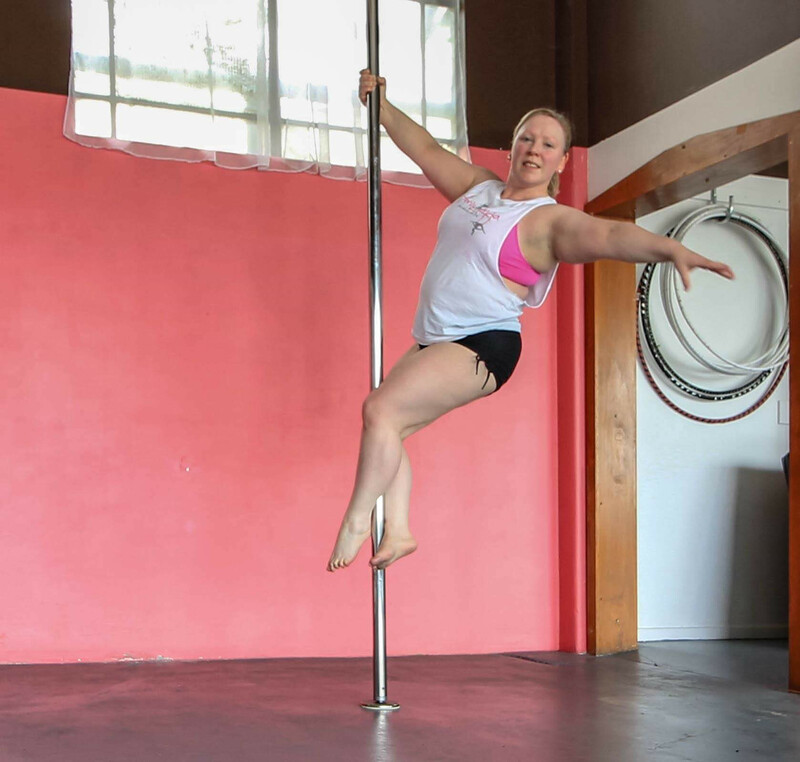 I have been pole dancing at The Studio for just over 2 years. Originally from Auckland, I grew up taking many dance lessons in an array of genres. Alongside that, I have had 16 years of competitive marching experience. My most memorable competition was winning the Australian NSW Champion Drill Routine 2001, Australian National Champion Drill Routine 2001, 4th in the 2001 World Drill Dance Championship Drill Routine in Adelaide and an overall placing 5th in the World.I was very fortunate to be able to assist choreography and coaching with the Warriors Drill Team and other Marching Teams in Auckland for about four years which cemented my passion for teaching. As a new pole instructor for The Studio, I am delighted to join the team, this opportunity has reignited my passion for teaching, who would have thought at 42 years I would be learning pole dancing let alone teaching Pole dancing. I would encourage anyone to come and sign up to give it a go. As your instructor for beginners, I am always here to help you on your own personal journey whether that is building strength, flexibility, meeting new people or pursuing competitions/performances. I have a lot of knowledge from my own life experiences that I can pass onto you. I am passionate about teaching and just love seeing people achieve their goals.